We recently transported 57 wedding guests to The Lanes Vineyard. The transport to the wedding consisted of two pick up points one in Marden & the other at the Burnside library. The trip back was to the same drop of points. We can do more than two drop of points if required. This simply comes down to how many people you have and distance to the hubs that are easiest for your quests. On the way back the driver along with the wedding planner decided to show the visitors from overseas the view from the old free way. As well as some of his own singing skills, which complimented the mood of the guests. Safe to say the alcohol helped the guests loosen up. 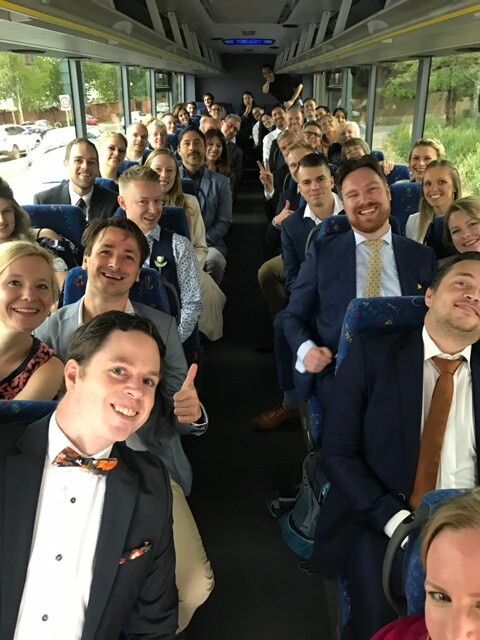 If you are looking for reliable & affordable Wedding guest bus hire in Adelaide, then Adelaide Coachlines can help you. We look forward to helping you & your guests on your special day. To read our reviews please look at either our Facebook or Google reviews.